The Good Samaritan, Joshua, Shadrack and Co. 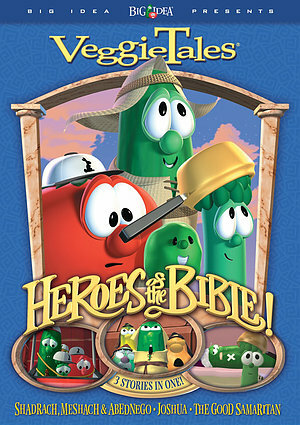 This second volume of Veggie Tales Bible stories features another 75 minutes of epic heroism from your favourite Veggies! Includes THE STORY OF FLIBBER-O-LOO, JOSH AND THE BIG WALL, and RACK, SHACK AND BENNY, plus fun special features! This DVD includes three stories from the Bible, with some of the greatest heroes ever!! These are all Veggie adaptations of some classic stories retold from the Bible. "The Story of Flibber-o-Loo" from Are You My Neighbour? This is a musical adaptation of the Good Samaritan, brought to life with some of your favourite Veggie characters! Helping those in need has always been a lesson to learn and through singing and rhyme, children are shown the way to helping your neighbour... people in need! Larry plays Joshua in this fun retelling. He is surrounded by huge walls... oh, and really annoying peas! And no one gets to the Promised Land without going through the mighty Jericho first! Armed with God's directions, albeit quite strange, Joshua has to make a decision as to walk in these directions or his own footsteps! What will he choose? Standing up for your beliefs can be a tough thing, especially when theres a 90-foot chocolate bunny and a fiery furnace involved!! Rack, Shack and Benny come up against troubles with Nebby K. Nezzer, in this this hilarious retelling of the classic Bible story; Shadrach, Meshach and Abednego and the Fiery Furnace! THREE stories in ONE! Over 75 minutes of FUN! "The Story of Flibber-o-Loo" from Are You My Neighbour? The parable of the Good Samaritan is brought to life in this hilarious adaptation of the biblical tale. Through rhyme and song, kids learn that loving your neighbour means helping those in need - even if they don't live next door! Josh and the Big Wall! Surrounded by huge walls and bristling with really annoying peas, no one gets to the Promised Land without going through Jericho first! Joshua has God's directions, but they sound kind of ... well, weird. Joshua (Larry) and the children of Israel have to decide whether it's better to do things their way or God's way! Rack, Shack, & Benny When Nebby K. Nezzer builds a 90-foot chocolate bunny, three guys named Rack, Shack and Benny learn just how risky it can be to stand up for your beliefs. Enjoy this hilarious retelling of the classic Bible story -- Shadrach, Meshach and Abednego and the Fiery Furnace! DVD BONUS FEATURES: Caught on Tape! Hilarious out-takes of kids saying the funniest things about their favourite Bible Heroes! 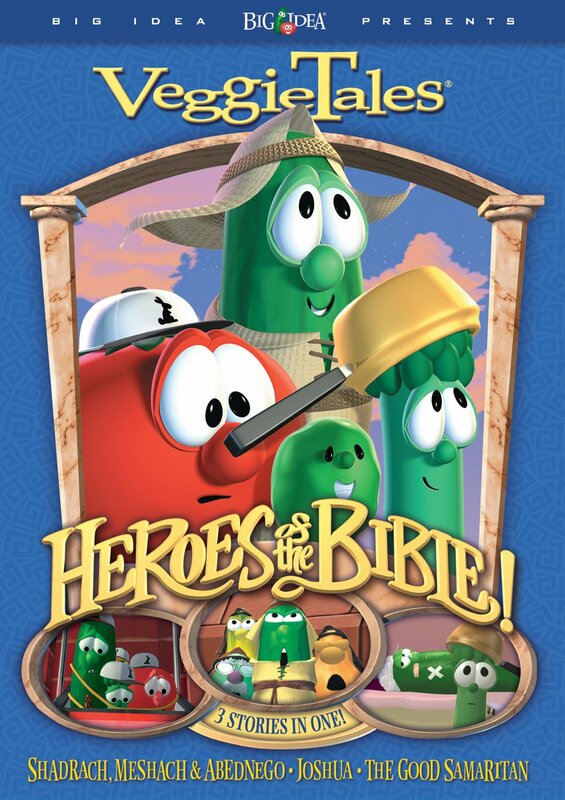 Heroes of the Bible Volume 2 DVD by Veggie Tales was published by Authentic in March 2011 and is our 2854th best seller. The ISBN for Heroes of the Bible Volume 2 DVD is 5060256820468. Be the first to review Heroes of the Bible Volume 2 DVD! Got a question? No problem! Just click here to ask us about Heroes of the Bible Volume 2 DVD.